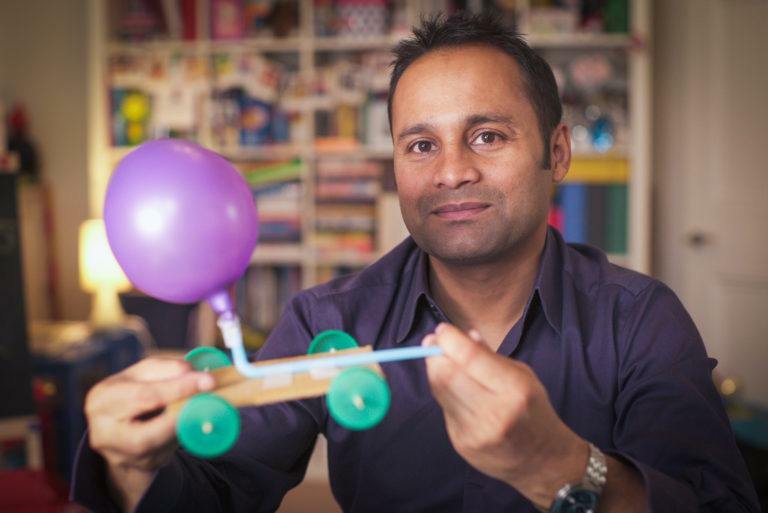 Scribe’s children’s imprint Scribble have acquired world rights in Mr Shaha’s Marvellous Machines by Alom Shaha, a follow-up to his highly successful book of practical science experiments for children, Mr Shaha’s Recipes For Wonder. Emily Robertson will illustrate the new volume, which is set for 2020 publication. Alom Shaha is a Physics teacher at The Camden School for Girls in London. His first book, The Young Atheist’s Handbook, was published in 2012 by Biteback in the UK and Scribe in Australia. The book is about how he grew up in a turbulent Muslim family on a south London housing estate and found that stories and science led him to atheism. It was so well-loved by Humanists in the UK that they raised enough money to send a copy of it to every secondary school library in the country.